With a new Halloween movie now definitely in the works, we look at 10 filmmakers we consider ideal for the job of directing it. Ever since Rob Zombie's Halloween II back in 2009 the future of the slasher franchise has been in limbo, with several attempts to revive the series failing to get off the ground. 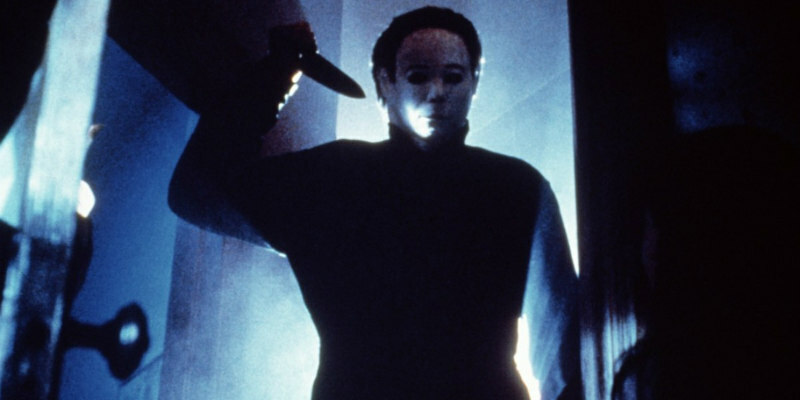 It seems we're finally set for a new installment now, with Blumhouse announcing they've teamed up John Carpenter to work on a new Halloween. Carpenter will executive produce, with talk of him maybe even contributing a score (please make this happen), but the search is on for a director. We've chosen 10 indie filmmakers who we think would be ideal for the project. The Belgian director has made an impressive horror feature in 2014's Soulmate, but it's her segment of last year's horror anthology Tales of Halloween that earns her a place on this list. The best of that movie's segments, Grim Grinning Ghost featured Alex Essoe stalked by a mysterious figure through a misty suburb. Carolyn proved she has a skill for generating tension in a simple fashion, and wouldn't Essoe make a great Laurie Strode type final girl? Durkin's directorial debut, Martha Marcy May Marlene was our favourite movie of 2012, a masterpiece in nerve-wracking, paranoid tension. Durkin's use of empty space in the frame to generate fear reminded us a lot of Carpenter's work on Halloween, and he displayed his skills again in the British mini-series Southcliffe, which just happened to be about a small town menaced by a killer. Flanagan's straight to Netflix thriller Hush plays like an audition tape for this gig, with a young deaf woman stalked by a masked maniac. The director also gave us the horror films Absentia and Oculus. He's set for a busy 2016, with two more movies due this year - Before I Wake and sequel Ouija 2. While he's yet to helm a feature, Hamassian's fantastic short Night of the Slasher has been tearing up the festival circuit. Shot in what appears to be one dazzling long take, the movie utilises a clever subversion of slasher movie tropes and features a killer in a Mr Spock mask in a nice nod to Michael Myers. We'd love to see that short's star, Lily Berlina, in a PJ Soles type role too. Harris is unique in appearing in both renditions of Halloween, as the child star of the fourth and fifth installments and later as Annie Brackett in both of Rob Zombie's reboots. She's directed two features - 2008's Prank and 2012's Among Friends - and having her onboard would really get fans of the franchise excited. Mickle is such a devotee of John Carpenter he opened his thriller Cold in July with credits rendered in Albertus, the font synonymous with Carpenter's films. The first half of that movie played a lot like the climax of Halloween IV, with Sam Shepard as a redneck Michael Myers. In his impressive vampire flick Stakeland he directed none other than Danielle Harris. Maybe a reunion could be arranged? Anyone who saw Mitchell's It Follows, one of the most acclaimed horror movies of recent times and TMW readers favourite movie of 2015, knows he deserves to be headhunted for this job. The opening shot alone looks like it was filmed in the fictional Haddonfield. If he can bring Maika Monroe along she'd make an ideal successor to Jamie Lee Curtis. He's currently one of the most talked about directors thanks to his third feature, Green Room, currently turning cinema-goers into nervous wrecks. That movie has been compared to Carpenter's Assault on Precinct 13, though Saulnier claims he hadn't seen it prior to filming. His previous film, Blue Ruin, also features its share of skillfully constructed suspense set-pieces. Wallace did a fantastic job directing Halloween III: Season of the Witch, a film derided at its time of release for the absence of Michael Myers but now considered by many as the best of the sequels. When we interviewed Wallace earlier this year, we asked if he would be interested in directing another installment. He replied that he would love to, but only if it once again didn't feature Michael Myers. Maybe his good friend Carpenter can talk him around. Wingard's last two features, You're Next and our number one movie of 2014, The Guest, bear the influence of Carpenter proudly on their sleeves. Wingard has proven himself a master of old school filmmaking and we'd love to see him carry this over into the Halloween franchise. His new film The Woods is due later this year. Vote for the filmmaker you want to see direct the next Halloween below, or if you have a suggestion not included, leave a comment below.